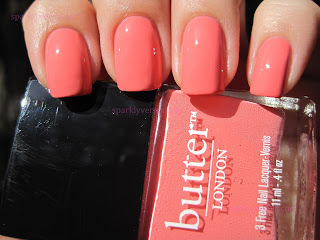 Creamy goodness! 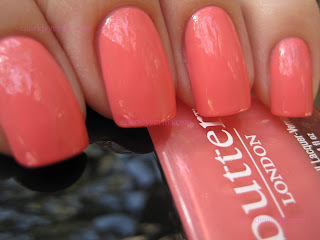 Trout Pout is borderline neon, yet it's formula is fit for a creme. 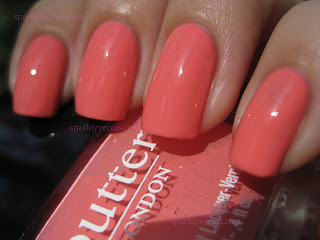 The color is gorgeous and so girly, very flattering, more peach than pink against my skin tone, love it. 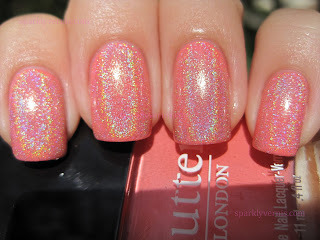 I'm thinking this would be a great color for an afternoon barbecue or for sipping lemonade by the pool. 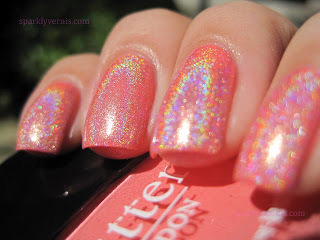 It's also super glossy, I could have wore it without topcoat, although I did use Butter London Hardwear for these pictures. 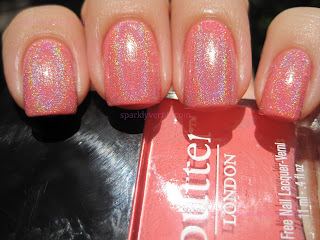 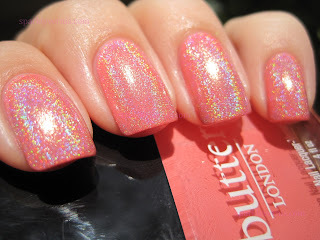 The formula is consistent with all other Butter London Nail Polishes that I've tried: Amazing! 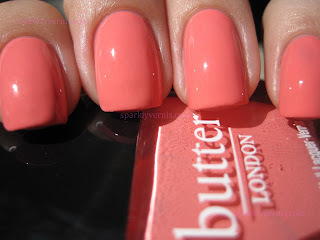 Not only does it apply like butter, but it dries super fast and it's perfect at two coats. 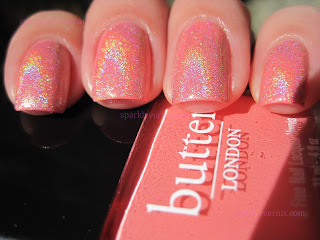 If you like this dreamy shade, you will be excited to learn that Butter London will launch it's matching lip gloss called Trout Pout Lippy this month, can you imagine? I have this on my nails right now, I'll have to add Hefesto to it! Ooh, this is a really gorgeous color! I love Hefesto over it too, it's so pretty!